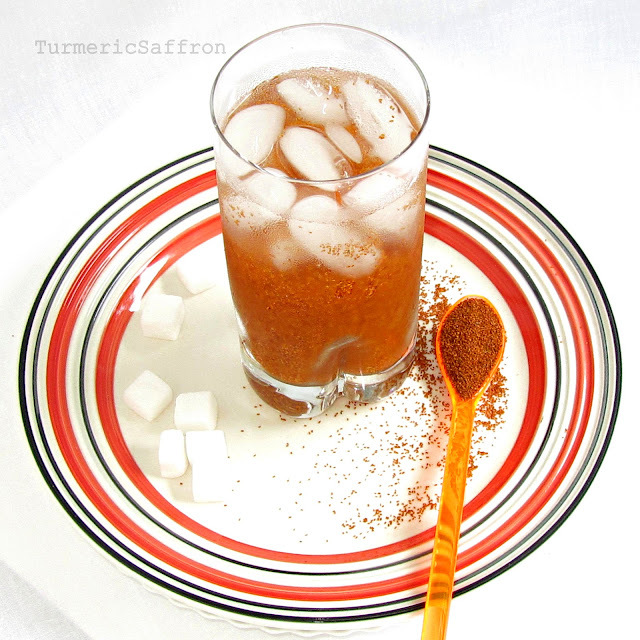 Sharbat-e khakshir/khakeshir is a very refreshing Persian summer drink. Although this drink is mostly known as a thirst quencher during hot summer days it can be enjoyed all through the year as a delicious soothing drink with many health benefits. Serving your guests ice-cold, lightly sweetened sharbat-e khakshir with a touch of rose water on a warm day is a great way to welcome them and make them feel at home. Khakshir drink is a natural and herbal liver detox. It is also known to improve the skin and reduce fever among many other benefits. 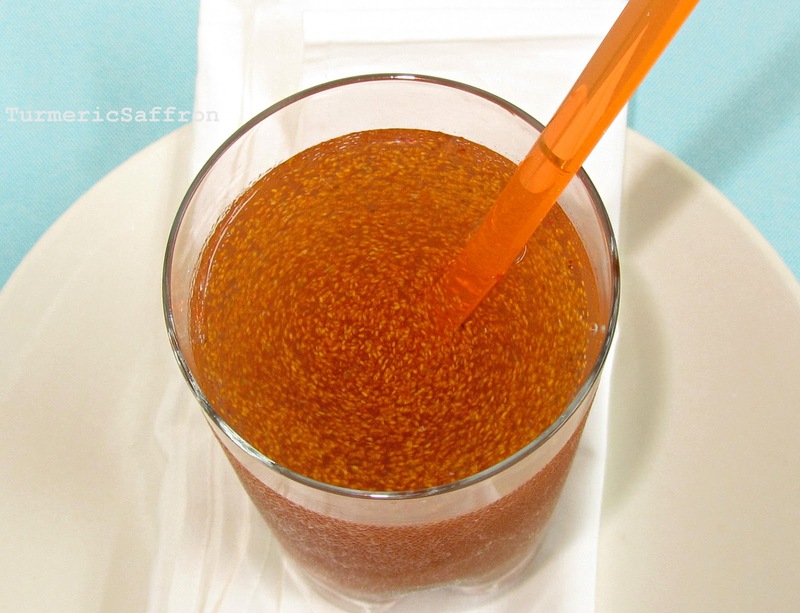 Growing up in our home khakshir drink wasn't made as a sugar-sweetened, ice-cold summer drink. My mother would give us khakshir all year round just for its medicinal purposes without adding any sugar or ice cubes. Khakshir has the tiniest reddish brown seeds that sit at the bottom of a glass of water. Upon stirring, the seeds start to move around and float up to the surface of the water and that's when you take a sip of the sharbat. Stir, watch the beautiful dance of khakshir in the water glass, sip and repeat. The English term forخاکشیر khakshir on the small package that I purchased from an Iranian grocery store was teff. In my research I found out that khakshir is also called London rockets, scientific name Sisymbrium irio. That's not all, in addition to those two names above, to make the matter more confusing khakshir was referred to as mugwort on a few websites. Based on the limited information available on this subject it seems that Sisybrium irio (London rocket) is a more correct term. Good quality khakshir should be free of any dirt and soil but due to the very small size of the seeds harvesting and cleaning the crops is not very convenient. Therefore, a thorough cleaning of khakshir is needed before serving. The best way to ensure that khakshir is free of dirt is to spoon the desired amount into a large glass, fill with water, let it rest for five minutes, stir and pour the content into an empty glass. If there is any residue left at the bottom of the first glass, rinse it out. Stir the second glass and pour the content back into the first one. Rinse out the second glass of any soil and dirt that may be left at the bottom. Repeat 2-3 times until there is no dirt left at the bottom of the glasses. Empty the water out, top with cool water and ice. Pour the khakshir seeds into a medium sized pitcher, top with 2 (8 ounce) glasses of water. Dissolve sugar in a little warm water then add to the pitcher. 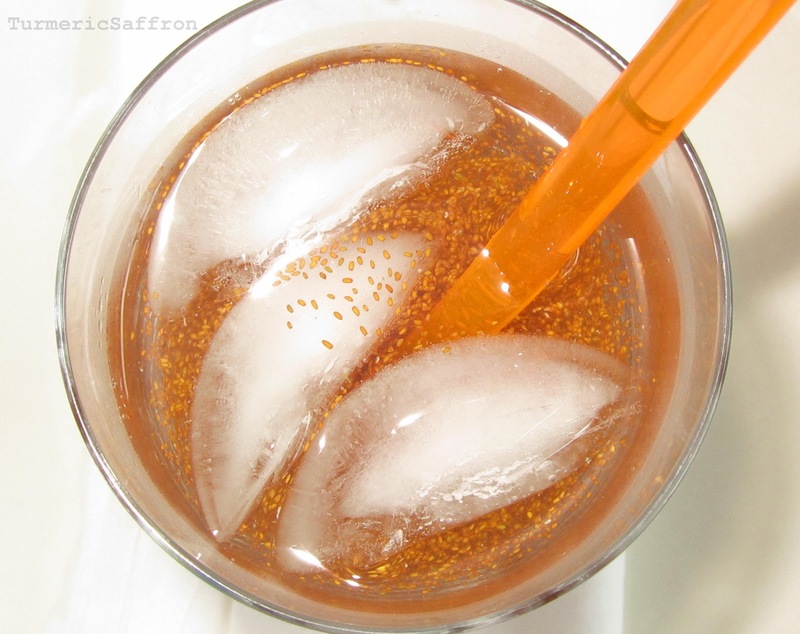 Add a tablespoon rose water, stir well and pour into ice-filled glasses. 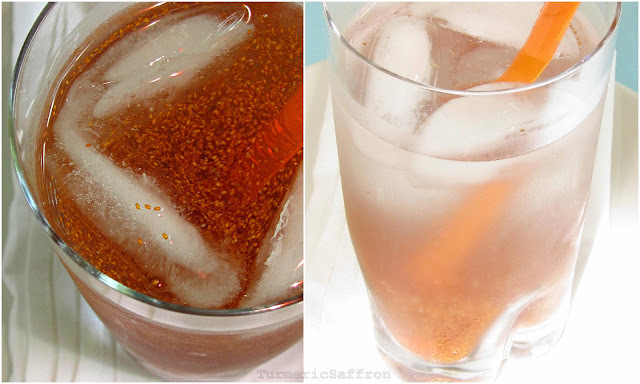 For a slight variation you can add a teaspoon of tokhm-e sharbati (chia seeds) to the drink. but u made us get used to hear your sweet stories from back home & old times. this post was so brief on that topic. Oh, this is what Khakshir is! Looks awesome. I'd heard of it but never had it. Would love to try it. Off to Google its medicinal benefits which must be many if your mom used to give you guys this year-round! Azita Jan, The drink looks nice, but what is Khashkir? Is it commonly available? And if not found is there any substitute for it? Love the gorgeous food photography. I used to have khakshir when I was very little. My parents used to say there are a lot of health benefit to this drink. Persian believe in the hot and cold properties of food and balance of heat and cold that keeps one healthy. I'm hot in nature so need drinks like this or fruits like watermelon and cucumber to cool me off. There is a lot of information in eastern cuisine to be transferred to western medicine. I am a soap maker and originally purchased these as an additive (exfoliant?) from a Middle Eastern Grocery Store. After researching, found this! Can't wait to try this recipe- the soap can wait! I hear that this drink helps ease eczema. Is this tru? 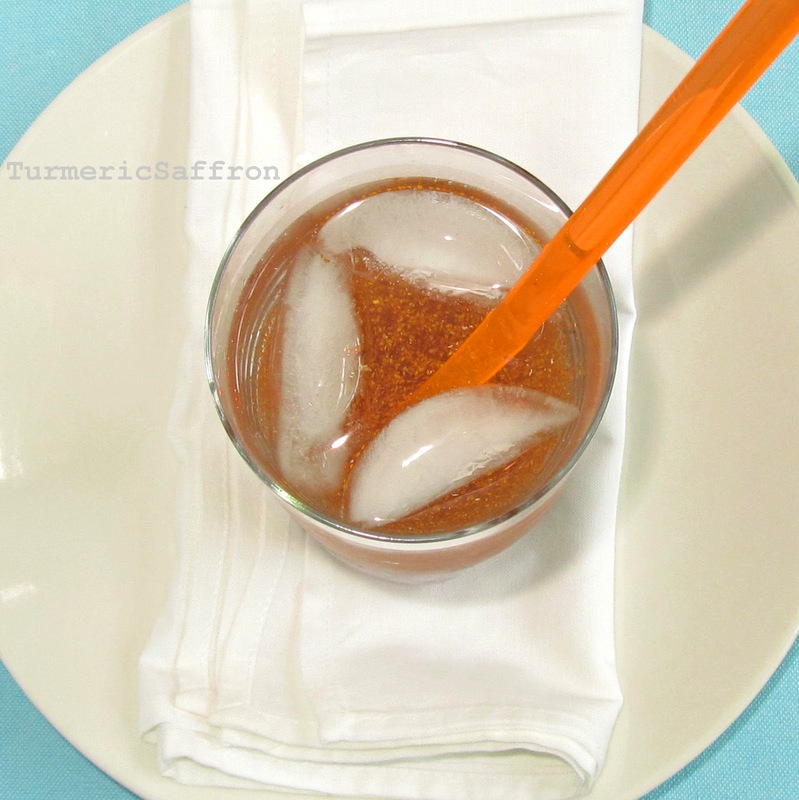 Yes, khakshir drink helps ease eczema but it's not a cure. Thank you so much for this info. I remember as a child my mom used to give it to us, all year around--specially, if we had fever. I told my sister to bring me some from Iran. I like your recipe a lot. The other names used for Khakshir is very helpful. Thanks again. When my Dad makes me khakshir, unless it's being used urgently (for example to lower my fever), he let's it sit and "brew" in the fridge for anywhere from 5-24 hours. The longer the khakshir "brews," the yummier the flavor! The seeds become softer, and they make the water the slightest bit jelly-like, and the flavor of the khakshir really comes out...you should try it!! It's GREAT! Love your blog by the way! 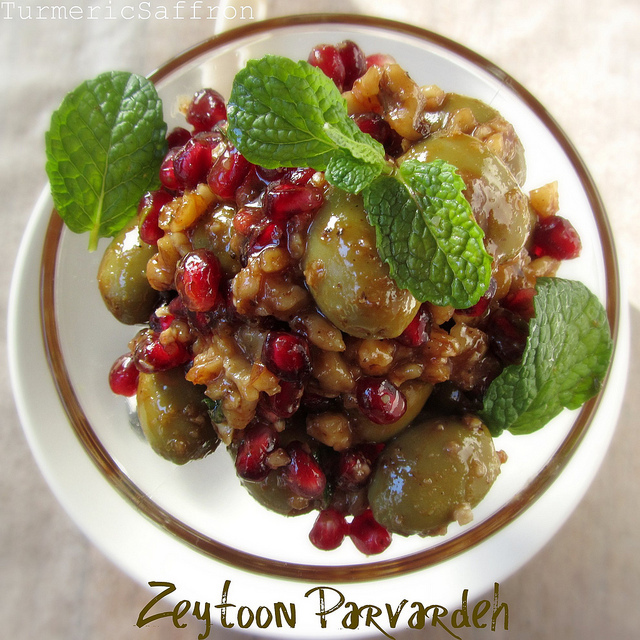 It's the first place I go to if I'm looking for Persian recipes, keep up the wonderful work! Khakshir come from the same family as Chia seed. We used Chia seeds too to make summer drinks.Both have lots of fibers and have cold properties of food. Khakshir is from the mustard/cabbage family, chia from the mint family. They are not close at all. You can probably use chia seeds in drink, but it's a whole different thing. Hi, Thanks for all your info. Is it possible to cook khakshir? Are there any recipes? I found another name for khakshir is " Teff" , but this is a grain and Ethiopians cook it for their meals and it looks a little different. If you have more info. please share. I was also wondering if you know what would help with eczema and also what is good for "Safra" or gallbladder. I have many stones!!! Thank you. FH, khakshir is only used in drinks and not in cooking. I believe that teff is a different grain. Hi Azita! Thank you for all the info and beautiful photos. I like your blog very much! Could khakshir go bad? I have a jar that is few years old and i was wondering if it is still good to use. I made a big pitcher a few nights ago and the first time I tried it tasted great. However, the 2nd night that i tried it was very bitter! Is is possible that my khakshir is too old? Shirin, khakshir should be kept in a cool, dark and dry place and I wouldn't store them for more than two years. I bought some khakeshir from Iran but didn't know how to prepare it. Thanks a lot. Hi Azita. Thank you for your blog. I recently became alergic to pomegrenate. It's unfortunate as its my favourite fruite. After taking Benedryl for a few days, I got fed up of the side effects and resorted back to persian medecin. I started taking Khakshir daily and my body reacted faster and better to the cronic hives. Every morning I make a shake with Khakshir, flax seeds, chia seeds, dry oat flakes, small scoop of protein powder (no soya) and a bit of skim milk or water. I blend it at high speed and drink it quickly as the chia seeds make it yougurt thick. If you take medications like me, wait a few hours as it slows the effect of the medication. I take my shake at 7 and my pills at 11 am. Hope it helps anyone out there with cronic hives or diabetes. I'm so glad I found this. I went to Iran a while back and became so obsessed with this drink. It's just so, so delicious and refreshing! Thank you for the recipe. I'm definitely going to give it a try. I was wondering how you found out khak shir is not mugwort seeds or teff. I am having such trouble figuring this out because my sadaf brand says teff. Do you know any other brands that make it? Also, after you make it, how long can it last for? I was wondering if i should make just for the day or a week? Thank you! Sandy, Khakshir is called teff and mugwort too. At the time of my research about the English name of khakshir I decided that London Rockets was a better choice. Golchin brand also makes khakshir and calls it Sisymbrium seeds. It will keep for a couple of days in the fridge but it's better to make sharbat-e khakshir just for the day. My Mum has just given me some and I'm enjoying it so much. I make mine with mint and Goji berries but will be adding some sweetness to it ,maybe ,now. Thank you for your post been most helpful.